I remember the first time we sat down with Russell Davis to talk though the possibility of doing a video profile on him (like we did with Victoria and Tony). “What is one word that you would use to describe yourself?” asked our resident producer Kerry. And it’s true—though not in the cowboy-gun-blazing sense. 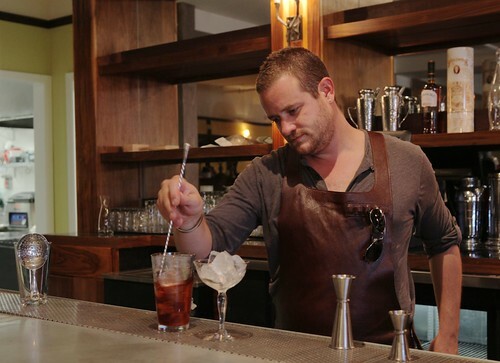 Rather, Russell is a person who knows how to keep folks surprised—whether it’s gracing Rickhouse with cowboy hats and flair mixing, blowing fireballs in Rio Grande, or captivating audiences on Spike TV's "Bar Rescue," where he is now featured as a bar expert. 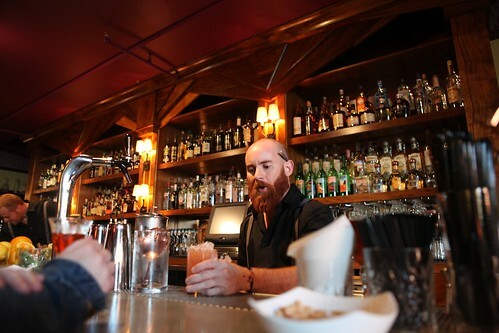 Now his latest bar project, Bergerac, opened in San Francisco’s SOMA district Saturday, and it has a little bit of that dangerous charm as well. As bar director, Russell is collaborating with Chef Randy Lewis (Food and Wine's best new chef in 2001), Speed Rack 2012 champ Yael Vengroff, and owners Bruce McDonald (Foreign Cinema), David Brinkley (Vessel), and Anderson Pugash (Crossroads Nightlife Group). 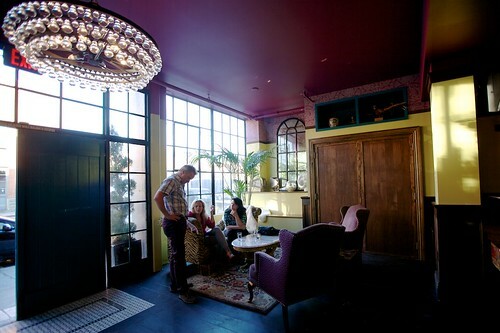 Fun-seekers will find what the bar is calling a "Bohemian setting"—an eclectic, elaborate interior with playful, unpretentious cocktails, making it a relaxed environment for evening drinks. 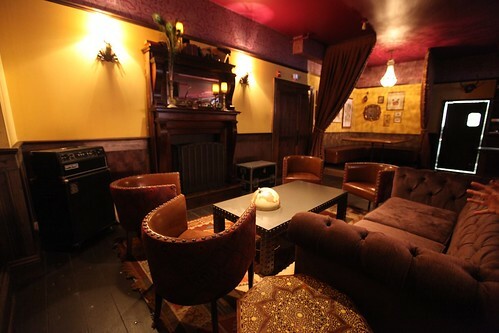 (Those feeling a progression can even hop upstairs to the sister dance lounge, Audio Discotech). Bergerac's decoration makes the atmosphere especially fun. 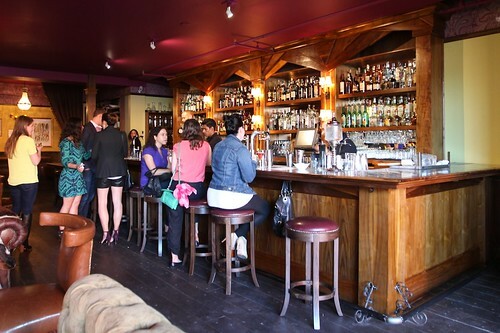 The bar itself is handsome but simple with deep wood tones and classic accent lamps. But the rest of the bar features a delightful mish-mash: half a globe juts out of the table, cow-skin rugs spread across the floor, glass chandeliers hang alongside '60s lamps, and the chairs are plush but don't match. It's fun and makes you feel like you fit right in, no matter how you're dressed or what mood you're in. “I want it to be like your grandma’s house, where you can’t really figure out what time period you’re in,” said Russell. 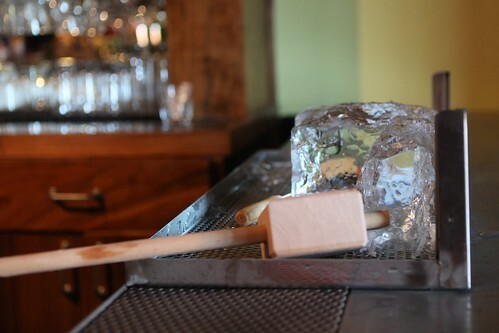 Ice Nerds Alert: Russell combines hand-cut pieces of ice from a crystal-clear block with a cutting-edge Hoshizaki machine that supposedly creates even colder, purer, slightly smaller ice than Kold-Draft. 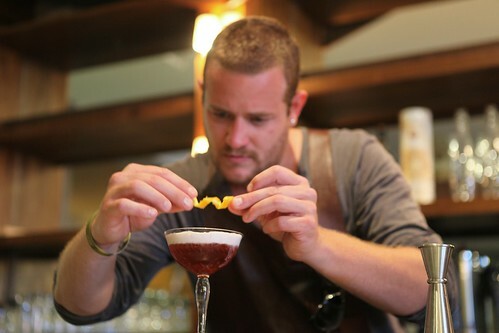 The cocktails draw on Russell's crossbreed of club bartender meets inspired mixologist. 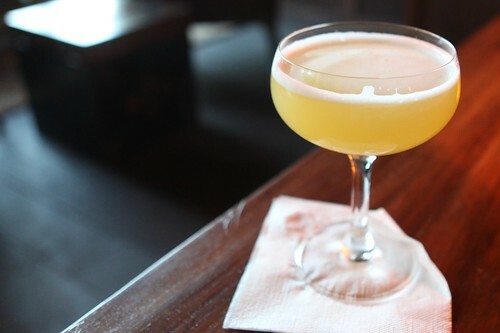 One of the most creative cocktails from the new menu is Live and Let Die—a disorienting blend that includes coconut oil-washed Pisco, sweet Vermouth, Froot Loops foam (yes, you read that right), and orange zest. 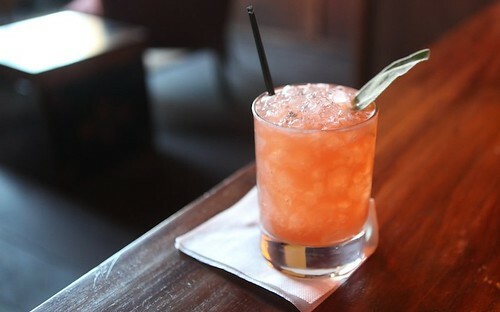 The scent of Froot Loops will take you right back, though the Campari adds a nice grown up twist. It tastes like childhood in a glass. Dirty Work is a bright, airy, and sparkling mix of Reposado Tequila, Lime, Pineapple Gomme syrup (fancy simple syrup), Cardamom tincture, and champagne. Perfect for a hot Indian Summer's day in San Francisco. The Midnight Hour is another bright, herbaceous cocktail. It is made with Tomintoul, Maurin Quina, Yellow Chartreuse, Lime, Sage, and smoked salt. With the Croquet Rouge, Bergerac nods to an elegant modern classic, borrowing a cocktail from the famous Milk and Honey bar in New York. 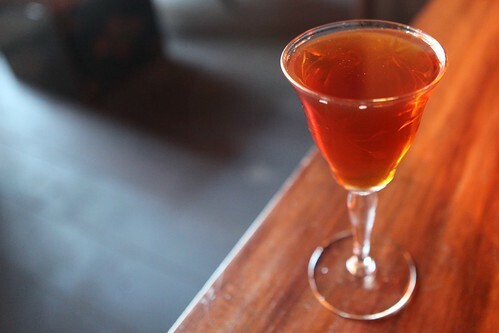 The cocktail—a twist on the Manhattan variation called Red Hook—mixes rye, Punt e Mes, Vadouvan-infused Maraschino, and Angostura bitters. 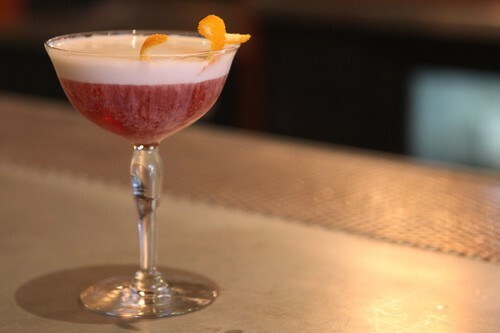 The menu calls it "an Indian-inspired, French take on one of America's best cocktails." 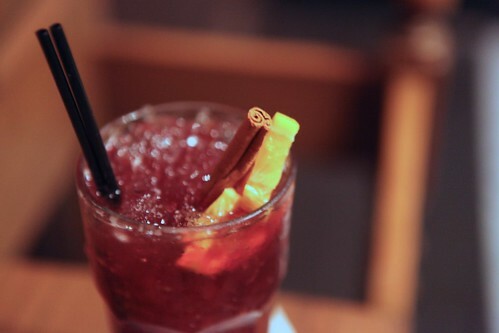 The Red Medicine was a spicy twist on sangria—easy drinking on a hot day. Will go to this place this weekend!